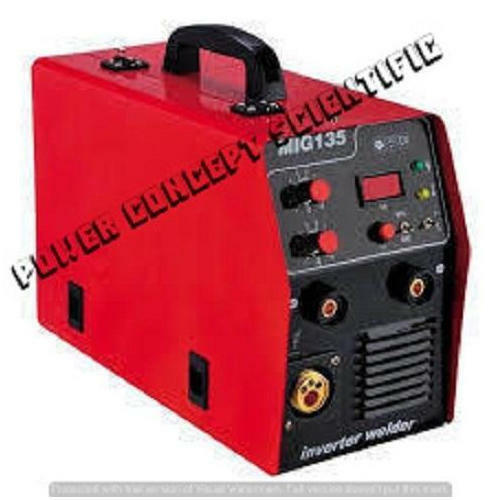 To meet variegated demands of our patrons, we are betrothed in providing a high-class series of Mig Welding Machine. These are available in diverse configurations that meet on customer’s demand. Incepted in the year 2013, we Power Concept Scientific are foremost organization in the market, highly involved in manufacturer, wholesaler, retailer and service provider an extensive collection of Refrigeration Air Conditioning ITI Trade Tools, Fitter ITI Trade Tools & Equipments, Motor Mechanics ITI Trade Tools & Equipments and much more. These products are highly known in the market for their long service life and optimum performance. Our offered assortment is manufactured and designed using quality approved components and sophisticated technology in compliance with international quality principles and norms.